A new variety pack of Kabaya's candy sticks? Awesome! I really liked the texture of the soda variety, so I am looking forward to trying some new fruity flavors. 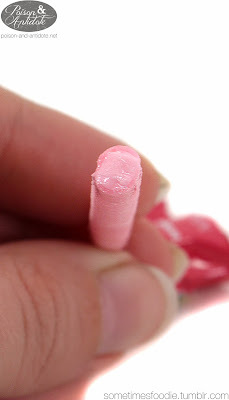 "The word "karipori" is a Japanese onomatopoeia, for the sound the candy makes when it's eaten - "kari" when you snap it in half with your teeth, and "pori" when you crunch down on it." That doesn't help me too much with this specific package, but at least the candy's name makes a lot more sense! 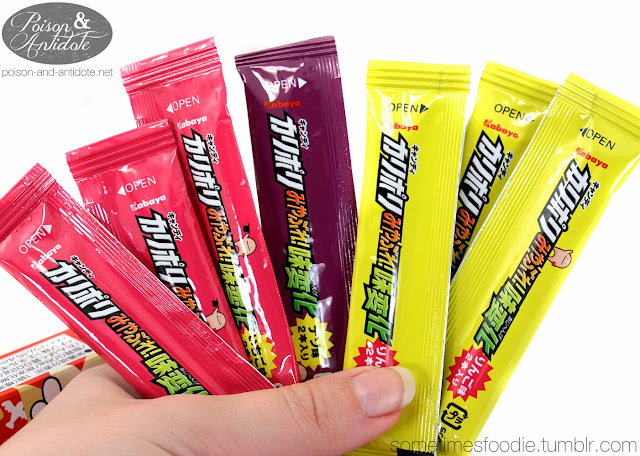 From the visual cues, I can tell that there are two fruity flavors in this package as well as some kind of mystery flavor. The back panel has a lot more information, but it was originally covered with a sticker. I peeled off as much as I could and it looks like the mystery flavor is revealed on the bottom flaps of the box. 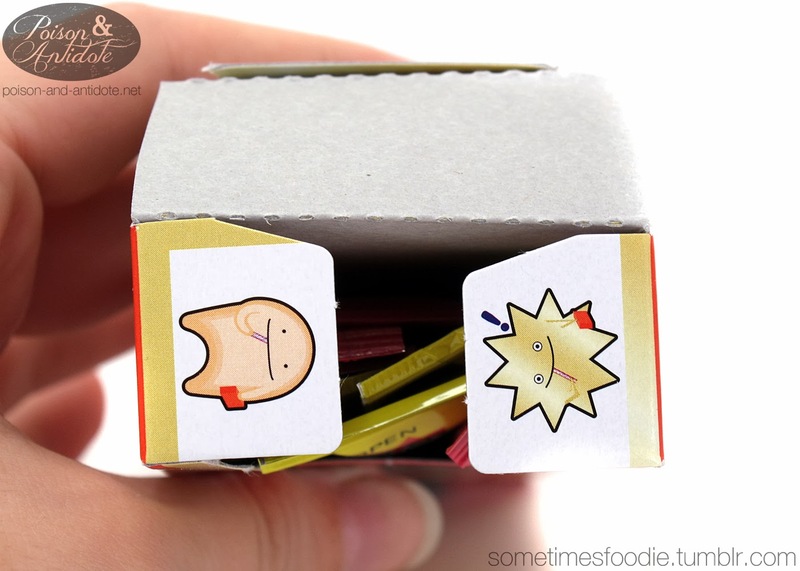 Not only is this packaging very elaborate, but it is also quite informative. They thought of everything! 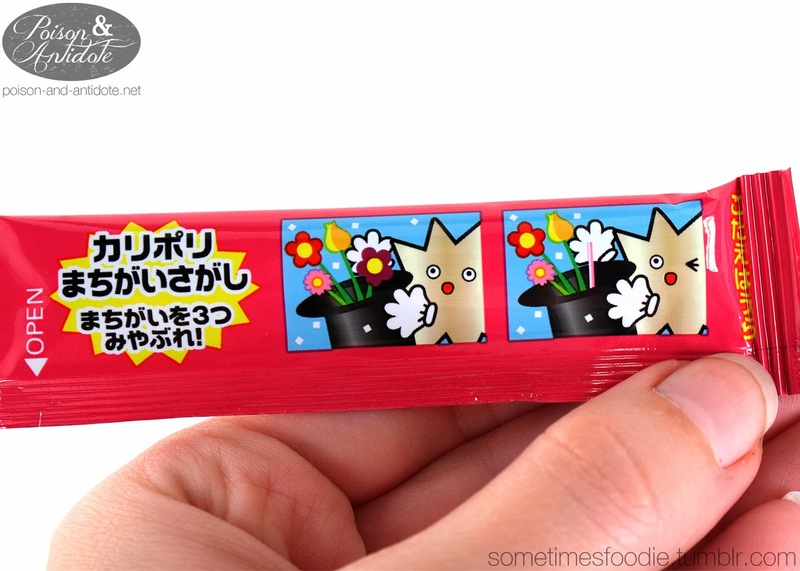 As if one mystery flavor wasn't enough, it seems like a fourth 'magical' flavor can be made from combining a strawberry and apple flavored candy stick. (From my experience, combining two flavors into another seems to be a popular gimmick for Japanese candies.) The design is really busy, but eye catching, so I would say it is very successful. Just like the cola variety, there are plenty of candy sticks inside the box. 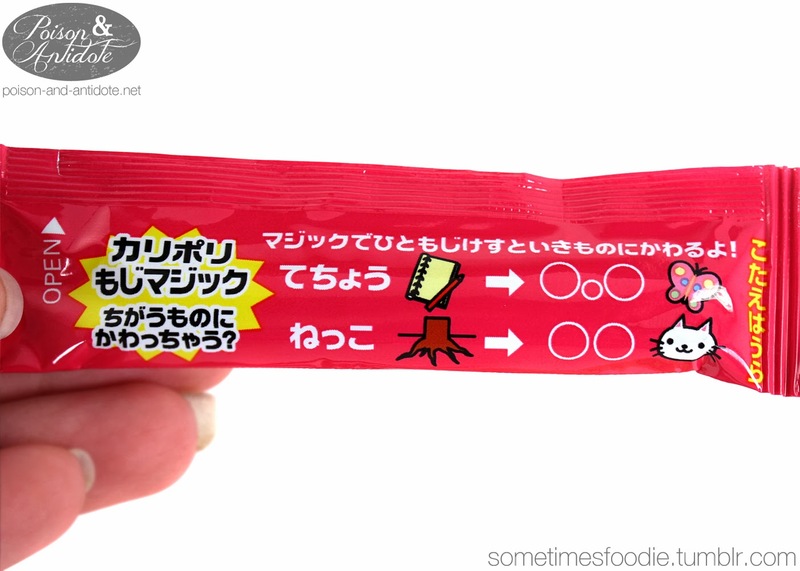 Each flavor is packaged in sets of two with fun little games. 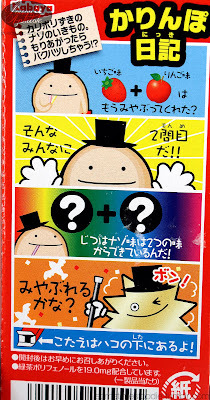 Like before, most of the puzzles are easy to figure out (like spot the differences images), but others require knowledge of Japanese words and characters. The character-based games are sadly lost in translation for me, but maybe some of you can solve them. Time to get to the candy itself! Once opened, the sticks have a sweet, floral, strawberry aroma. The scent instantly reminded me of a strawberry lotion from Bath and Body Works I used in high school. Although it reminds me more of a bath product than a candy, the scent is still pretty appealing. Taking a bite, the candy has the same plastic-like snap and texture as the soda variety, which is highly addicting. It is very light weight, almost like styrofoam, but crisp and crunchy like a candy cane. If you were able to take the texture of Pop Rocks and compress them into a stick, it's be this. 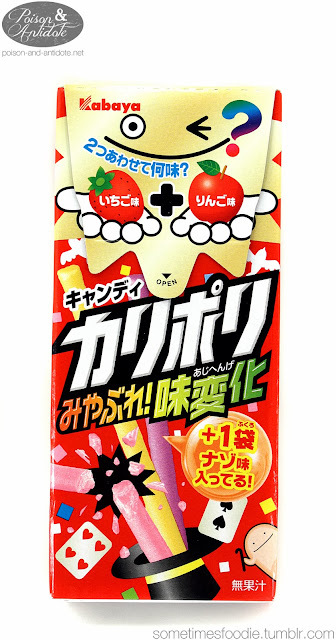 Even though strawberry is one of my favorite candy flavors, this one tastes too perfume-y for me. It has some sweet berry notes, but the overall taste is very floral and it reminds me of cosmetics and body sprays. The overall flavoring wasn't bad, but I am not a fan of this flavor on it's own. Even so, I am looking forward to trying it mixed with the other flavors and discovering the "mystery" flavors!